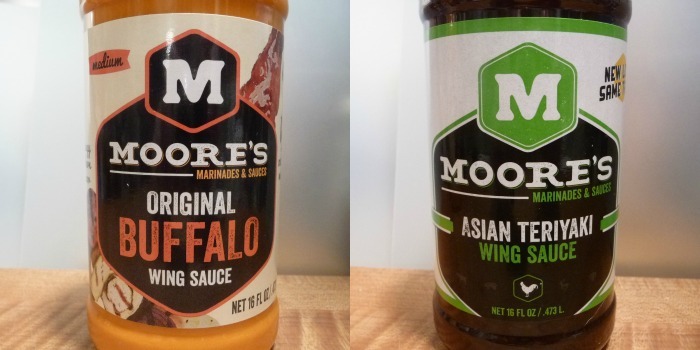 We’re kicking off our Week of Wings 7 with a “two-fer” review of Moore’s Wing Sauces – their Original Buffalo and their Asian Teriyaki Wing Sauces. Moore’s Marinades & Sauces out of Birmingham, Alabama, have a stellar lineup of products that you just may not have heard of yet. Or perhaps you’ve seen them on your grocer’s shelves but were afraid to try them. Don’t be. These Moore’s people know their stuff! 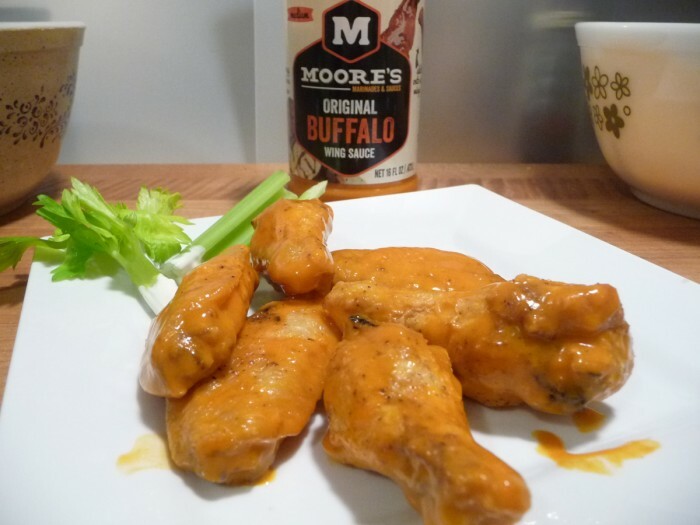 Moore’s Original Marinade was introduced over thirty years ago at a steakhouse in the small Alabama town of Jasper. The original hickory marinade, with a delightfully flavorful taste, quickly became well known throughout Alabama and the South. Along with their Original Marinade, they have their Teriyaki Marinade – PLUS, five wing sauces – four of which we are featuring in our Week of Wings 7 series here on HotSauceDaily.com. A classic “buffalo sauce” of cayenne sauce and butter. Very mild and delicious. Nice balance of cayenne and butter. Heat Level: – Mild yet tangy. Perfect for your next football party. Everyone will love these wings! Mild. Overall flavor: – Delicious! Just what wings should be for your guests. Spectacular and so good. Try this sauce! Sweet and sticky, a dark umami flavor, and a mild heat that tingles the mouth. Marilyn says the heat is kicked up at about a level 2 for her. The red pepper flake profile is strong. Overall, there’s nothing out of place here. It’s very sweet, dark, sticky and umami. Heat Level: – Very spicy, dark and delicious! – huge favorite. Overall flavor: – Our top rating! 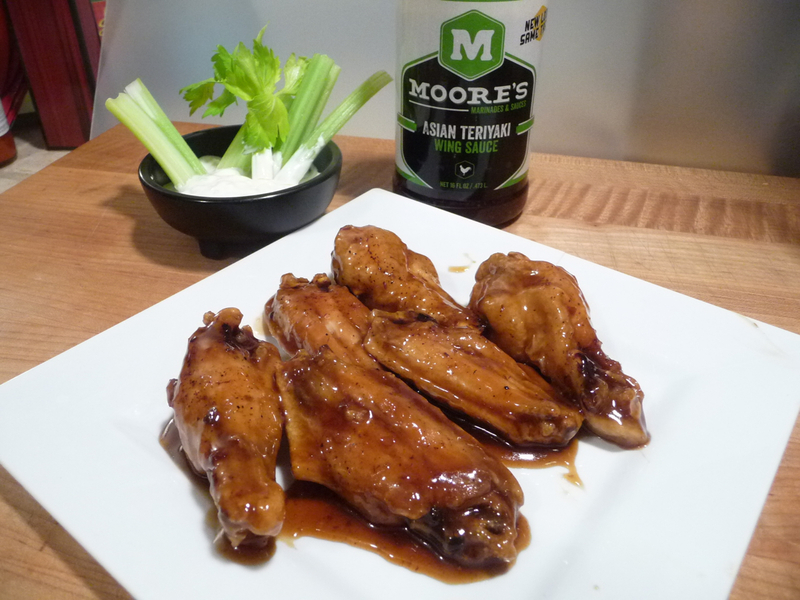 This sauce is the best grocery store teriyaki wing sauce we’ve ever had! – Amazing.